asphalt shingles Archives - Beneficial Roofing | VOTED BEST Roofing Company, Call Us Today & See Why! Your roof is a major part of your home’s value. One of the most important things you as a homeowner can do is make sure that your roof is properly maintained. Perform annual or biannual inspections to assess how well the integrity of the roof is holding up. 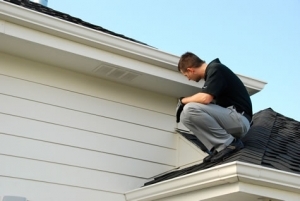 You also want to check for missing or damaged shingles and look for anything that might cause problems down the road. Potential problems would be low-hanging branches or clogged gutters. However, it is important to remember that not every roof is the same as far as maintenance goes. Different roofing materials require different types of attention to maintain. In this article we will discuss the most common types of shingle materials used and how to make sure you get your money’s worth out of them by taking care of them. The most common material used for roof shingles, depending on location, is asphalt. Economical and typically low-maintenance, they are unfortunately susceptible to a lot of weather conditions. Without a protective coating, enough exposure to the sun can speed up the cracking and decaying process. Hail is another environmental nuisance causing granules to be knocked off and leaving marks and dents in the roof. Wind can rip shingles from the roof, leaving the roof open to damage from the elements. Asphalt shingles require a protective UV coating and a flexible base to protect them from sun and wind damage. All these factors can either make or break your wood-shingled roof. Wood shingles need to be pressure-treated and maintained with sealants or coatings that protect against constant exposure to sun and rain. Without that protection, sun rays can cause your wood shingles to cup or curl. This can lead to fractures. If properly looked after, these shingles can last 10-15 years longer than your typical asphalt shingles. This sturdy, long-lasting contender can take on the damage that the sun, rain and wind can dish out. While concrete and stone tiles are typically more durable, porcelain and clay tiles can become fragile and break in a hailstorm or high winds. Clay tiles don’t keep well in colder climates that see a lot of snow and ice. They do hold up well in higher temperatures with a lot of sunshine, however. This makes them more popular in the arid climates like the southwest U.S. 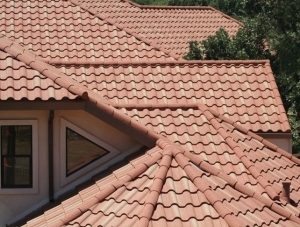 In order to have a healthy tile roof, you need to make sure the tiles are properly installed. Hire a professional familiar with weight restrictions and architectural structures that can hold these heavy shingles. The tiles themselves can last upwards of 50 years, however the basal layer needs to be replaced about every 10 years to prevent cracking and leaking in the roof. This material can withstand high winds, keep the rain and moisture out of your attic and even repel hail. These traits make them one of the most durable types of roof shingles out there. Because these shingles are heavy, they will require a very skilled roofing installer to make sure they are done correctly. They will need extra architectural reinforcement due to their weight. You will need to have these checked regularly and fix any problems immediately, in order to maintain the durability and long life of your slate roof. As can be expected, metal roofs are one of the most durable roof systems you can have. Their ability to keep out moisture and rain, along with their ability to reflect heat rays from the sun makes them a popular choice. Hail and wind are the enemies of the metal roof. Hail can dent your metal roof, while wind can cause even more damage to metal roofing than a typical asphalt roof, if the metal roofing is not installed properly. Choosing the right shingles and knowing how to maintain them can be tricky. Don’t worry! We have experts standing by who can help with all of your roofing questions. 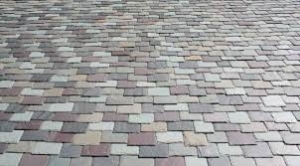 If you have questions about types of materials for your shingles, contact us today! We would be more than happy to help you on your roofing journey. 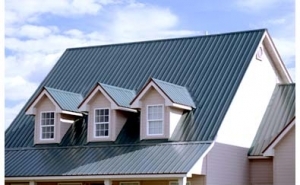 Metal roofing options are growing in popularity. The industrial look can give your home a modern edge and it’s very sensible to boot. They are most used down south due to their harsh weather and durable roofing needs. In climates where water damages most other roofing materials, metal is a winner. It’s a more expensive choice, but will pay for itself over time. The roof can last you up to 60 years vs. the most popular roofing material, asphalt shingles, that only last 20. Because of its light weight, it will also bear less weight on your home’s foundation and walls. Asphalt shingles are the number one choice of homeowners in the U.S. They are the most readily available, affordable, as well as aesthetically pleasing to the eye. There are two categories of asphalt shingles, fiberglass and organic. Fiberglass shingles are less durable than organic, but less expensive and get the job done. As mentioned previously, you can expect a fiberglass asphalt shingled roof to last you approximately 20 years. Organic shingles are made of recycled felt paper. Both these options are coated with a water resistant coating and then sprinkled with ceramic pieces to reflect the sun’s UV rays. 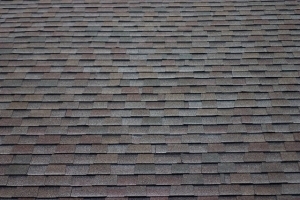 Cedar shake are shingles made of wood coated with a fire resistant coating. It is an expensive option, but can look really beauiful and also help you save money on your energy bills going forward. In fact, you will make back your investment in heating and cooling because of the roof’s ability to insulate. This roofing option is durable and does well in high heat places, as well as in places where mother nature is extremely unpredictable (for example hurricanes, tornadoes, storms, etc). One major downfall is that this roofing option needs special installation, so before you commit to it be sure you find a roofing company with experience in cedar shake roofing that you trust. Tile roof shingles are made of ceramic or slate and come in a variety of colors, but are most commonly purchased in a orange/terracotta hue. They are very durable and can last you 50-100 years or more. They withstand the elements well, specifically the heat of the sun, so they are popular choices in hot climates. This choice can also effect your heating and cool bills in a positive way, due to its good heat resistance.